One of the most significant ways you can be involved in orphan care is to raise awareness of the importance of family-based care and about best practices when serving the vulnerable child. When a community agrees to come together to corporately answer the call to take care of orphans (James 1:27), it is a powerful movement. Too often, however, if passion and momentum are not coupled with the knowledge of best practices, more harm can be done than good. That is why we seek to raise awareness with our partners in North America so that orphan care efforts can have the most impact, whether you are serving globally or locally in your community. Here are some practical ways you can engage your community and the local church to be active participators in orphan care in ways that will leave a lasting impact. Host an Identity Mission representative at your local church or other local venues for a meeting of community leaders and church leaders in your area. Our Regional Orphan Care Awareness meetings focus on gathering several key leaders within the community, be it local pastors, community directors, and individuals who are passionate about making a difference in local and global orphan care, together to discuss orphan care best practices. Whether or not they are already involved in an orphan care project, it is essential for each leader to understand that without knowledge of best practices, they can potentially harm vulnerable children through their relief and mission efforts when desiring to help them. We have so much to learn from each other! We can't simply see a need, buy and deliver the material resources to fill it, and then hope for the best. That can be doing more harm than good. So, when you host an awareness meeting, you provide a platform to begin creating real programs that bring about real change in the lives of real orphans across the world. As part of your awareness meeting not only will an Identity Mission representative share about how to serve orphans globally, in third world countries, but we will also have a local foster care agency to present as well. We are not solely passionate about orphans in Honduras, but we are excited about helping your community step up to be the solution to orphan care in your city, nation, and world. These meetings will provide with an all-around view of what is happening in the orphan world today. We know that when like-minded, passionate people get into a room to talk about how to engage their communities and their spheres of influence in best-practice orphan care, the potential to change the landscape of a community and the world of orphan care is absolutely possible. Orphan Sunday is the second Sunday in November each year. 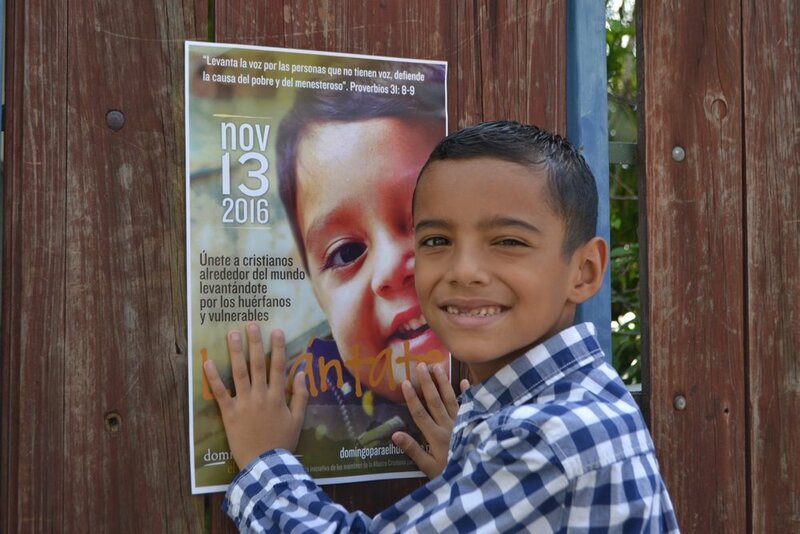 It is an annual day to actively be a voice for the fatherless, through your local church! On the same day, internationally, thousands of people gather at locally-held events to pray, share a meal, host activities; all of these with the focus of raising awareness for the needs of orphans. This movement is engaging churches across denominations, across contents, and languages. We are so encouraged by how this one day each year set apart to focus on the call to care for orphans is changing the landscape of orphan care globally. "Not all are called to do the same thing, but we are all capable of doing something. Everyone can do something to better the life of a vulnerable child." Host a fundraiser in your community to not only raise funds to further our family-based care programs but to also distribute materials and understanding about the orphan cause. You decide what type of fundraiser you want to organize! Host a gala, a 5k run, a dinner at a local restaurant, Facebook party, a benefit concert, anything that fits your community and you believe will engage people while raising awareness and support for orphan care! Feel free to use your creativiy and specific talents to reach your community! Whatever fundraiser you choose, our team will equip you with all the resources you need to raise awareness and make a difference today! When you chose to stand up and be a voice for the fatherless, you can know that your efforts equal more kids being cared for in families instead of orphanages. Contact us with your fundraiser idea! We cannot wait to collaborate with you!